Although Dia’s gown was a bit similar to that of Amrita’s it had its own charm courtesy of the embelishment. 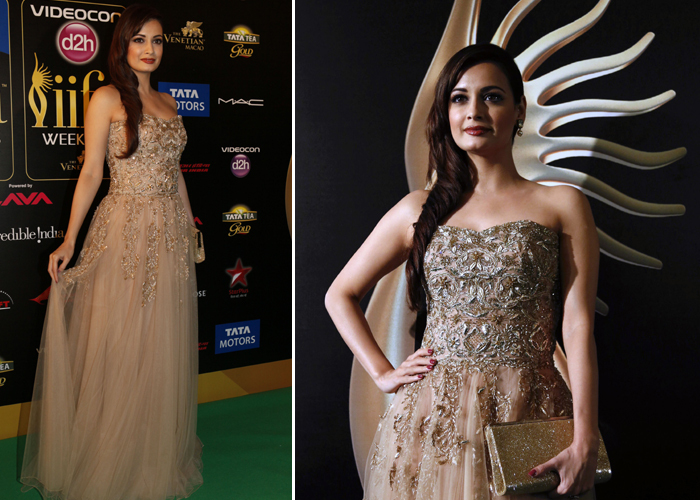 She pulled off the Ayesha Depala gown well and styled it flawlessly. Volumed hair would have added to the look but even without it this one is a winner. Verdict: Dia Mirza is HOT!